A stunning feat of journalism. What we have here is masterly reporting and the glow of fine writing. [Fink] offers no easy answers, no rush to judgment. But she does deliver an amazing tale, as inexorable as a Greek tragedy and as gripping as a whodunit. Fink, a Pulitzer Prize-winning journalist who trained as a physician, writes powerfully of the investigation into the Memorial deaths and, in her epilogue, of subsequent disasters: the earthquake in Haiti, Hurricane Sandy in the Northeast, an influenza pandemic in India. The event was a huge success…. Sheri was fantastic and well received. We have received numerous compliments on how good the presentation was. It was an honor to welcome such an esteemed speaker and humanitarian into our library. The presentation was exceptional and Fink’s passion for the subject is undeniable. More than one audience member shared that she was the best speaker they had ever had the opportunity to see. 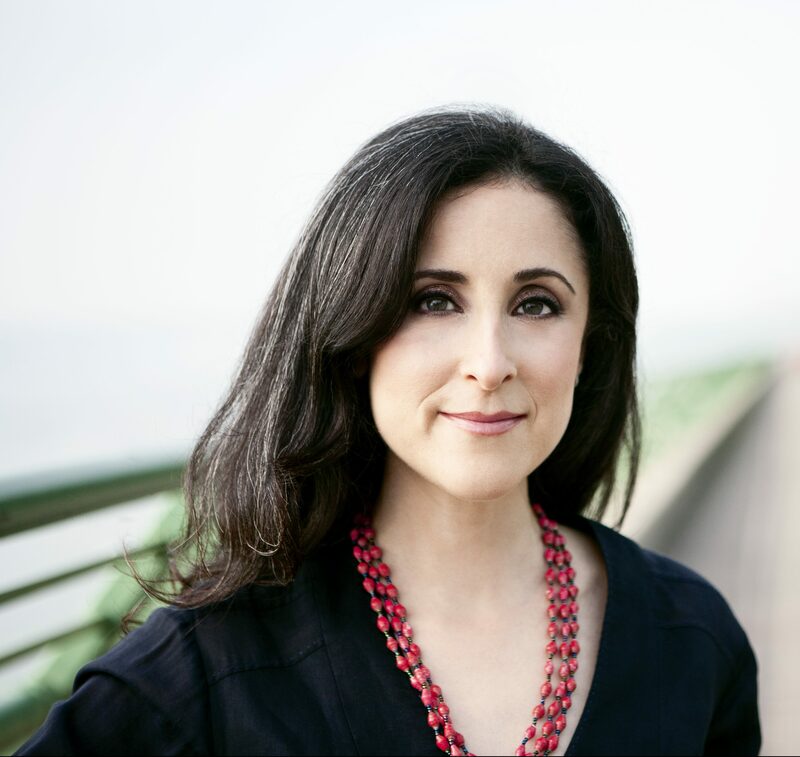 Winner of a Pulitzer Prize for journalism and a National Magazine Award, Sheri Fink is the author of Five Days at Memorial: Life and Death in a Storm-Ravaged Hospital. 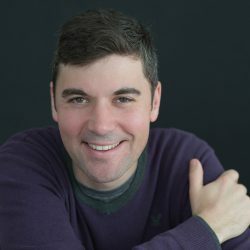 The book is a landmark investigation of patient deaths at a New Orleans hospital during Hurricane Katrina, and a suspenseful portrayal of the pursuit of justice and the slippery nature of truth. After Katrina struck and the floodwaters rose, the hospital’s power failed and the heat climbed. As the situation deteriorated, exhausted caregivers chose to designate certain patients to rescue first—and others to rescue last. Months later, several health professionals faced criminal allegations that they deliberately injected numerous patients with drugs to hasten their deaths. 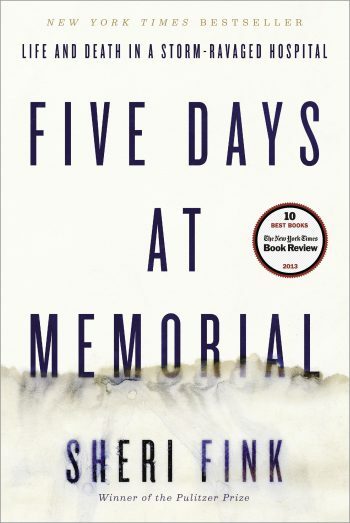 Five Days at Memorial, the culmination of six years of reporting, unspools the mystery of what happened in those days, bringing the reader into a hospital fighting for its life and into a conversation about the most terrifying form of healthcare rationing. Five Days at Memorial is a staggering feat of investigative journalism that reads as compellingly as the best thrillers. Named a Best Nonfiction Book of 2013 by The New York Times, Five Days also won the National Book Critics Circle Award, the Ridenhour Book Prize, and The Los Angeles Times Book Prize. 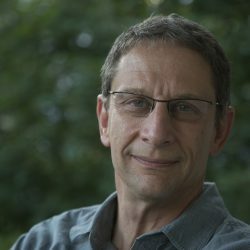 The book has been selected as a common read by Northeastern University and Grand Valley State University. In addition to the Pulitzer, Fink’s journalism has earned her the National Magazine Award, the Overseas Press Club Lowell Thomas Award, and other journalism prizes. 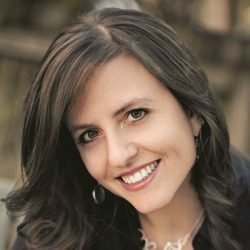 A former relief worker in disaster and conflict zones, Fink received her MD and PhD from Stanford University. Her medical background makes her uniquely qualified to report on the intersections between human-made conflicts, natural disasters, and medicine. At the same time, her writing style is engaging and transparent, making even the thorniest ethical issues and most complex medical challenges accessible for every reader. 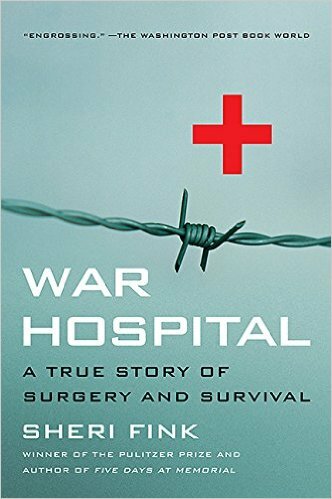 Fink’s first book, War Hospital: A True Story of Surgery and Survival (PublicAffairs), is about medical professionals under siege during the genocide in Srebrenica, Bosnia and Herzegovina. More recently, she has reported on the devastating effects of the 2017 Atlantic hurricane season and the 2017 Las Vegas shooting for The New York Times. For more information on Sheri Fink, please visit sherifink.net or explore her page on The New York Times website. Dr. Fink more than delivers. She writes with a seasoned sense of how doctors and nurses improvise in emergencies, and about the ethical realms in which they work. By reporting the depth of those gruesome hours in Memorial before the helicopters came, and giving weight to medical ethics as grounded in the law, Sheri Fink has written an unforgettable story. Five Days at Memorial is social reporting of the first rank. [Fink’s] story is an antidote to the abstract calls of glory, honor and heroism… Yet she reaches beyond even these themes and confronts the role of humanitarian assistance in wartime, raising the larger question of what must be done in the face of genocide.